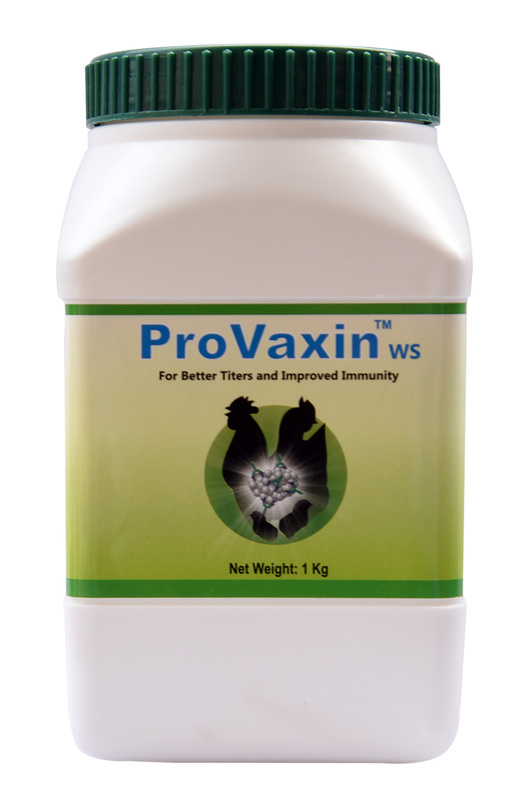 Provaxin is a synergistic adjuvant to live and killed vaccines. It also acts as an immuno- modulator for higher titers and longer immunity. It is a strong host immune response activator. β1,3 glucans, manno proteins, lipopolysaccharides, peptidoglycans, electrolytes, buffers, trace minerals (zinc, selenium and chromium in organic form), pro-vitamin A, vitamin E & vitamin C with specific proteins in a fortified water soluble base.